A simple way we accomplish generosity is through online giving. Many people today are using technology, as a convenient and easy way to stay faithful before the Lord in their giving. Worship God before “life” creeps in and giving becomes a secondary thought. By giving online to the Ranch Church, you are enabling other people for life change. By pouring out to the Lord, you are not only providing for so many ministries of the Ranch Church, but also allowing God to move. Not only will He bless you, but He will bless so many others as well. Please join us on Sundays and allow Him to bless you through us. Give online through a secure on-line giving site. Site provides opportunity to donate to designated ministries or to the general fund. 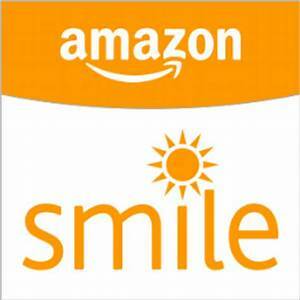 Make eligible purchases through Amazon Smile and Amazon will make a donation to The Ranch Church. Simply bookmark the following web address and select The Ranch Church as your favorite charity. Be sure to always shop through Amazon Smile - same pricing and products available. The Ranch Church is a 501(c) corporation and all unrestricted donations are tax deductible.